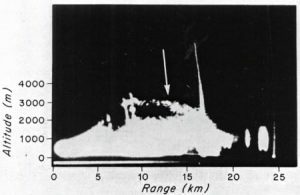 This early radar image paper shows bats flying 3 km high as they move away from Bracken Cave. From Williams et al. 1973, Fig 2b. Radar aeroecology is the use of a variety of different types of radar to study movement of animals aloft. As early as the 1940’s engineers realized that migrating birds showed up as “angels” on the first military radars. They quickly found ways to use the technology to study animals. Pioneers like Sidney Gauthreaux studied birds migrating over New Orleans using weather radar in the 1950’s, and Alastair Drake and Don Reynolds designed and deployed custom radars to track insect movements in Australia and England. They literally wrote the book on Radar Entomology. Basic understanding of insect migration behaviors: What little we know about insect behavior aloft comes mostly from radar studies. 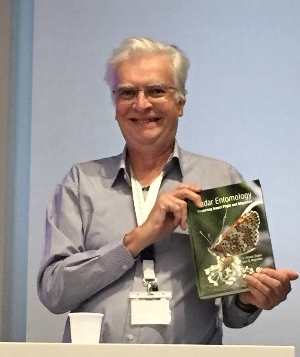 Alastair Drake proudly presenting his Radar Entomology book at the ENRAM meeting in Rome. Quantifying migratory movements: Long-term datasets from special insect radars or weather radars have revealed astonishing quantities of birds and insects migrating overhead. For example, trillions of insects travel annually above England each year. And over North America, billions of birds move north in spring and south again in autumn. Predicting movements: You can now get predictions of bird migration events from Birdcast, which is based on data from weather radar. Population studies over time: Historical weather radar from Texas shows that bats emerge earlier to forage during periods of drought, that they are arriving earlier at Bracken Cave each spring, and that more are overwintering there instead of migrating. Conservation: Weather and other radars can provide information about how animals respond to threats such as light pollution. 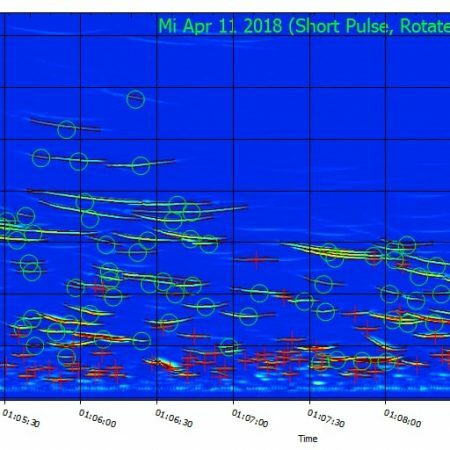 Radar is the most promising technology for studying nocturnal aeroecology. As we learn how to interpret data from weather radars there will be more and more exciting breakthroughs in our understanding. Stay tuned! The dish-on-a-truck image at the top of this article is of a storm chaser from the Oklahoma University Severe Weather labs. 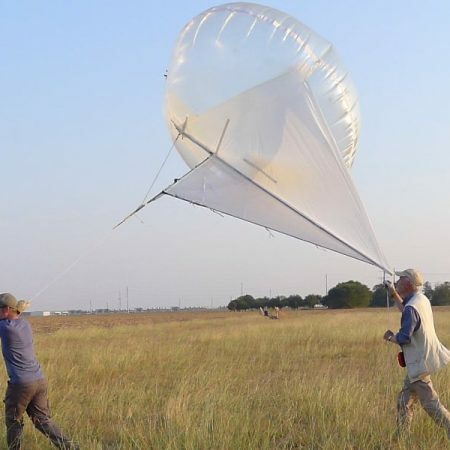 A number of radar aeroecologists converged on Texas in 2010 to apply the tools to bat movements there, and I was lucky enough to join them.